Published 7th September 2017 by Walker Books. Goodreads Synopsis: Romy Silvers is the only surviving crew-member of a spaceship travelling to a new planet, on a mission to establish a second home for humanity amongst the stars. 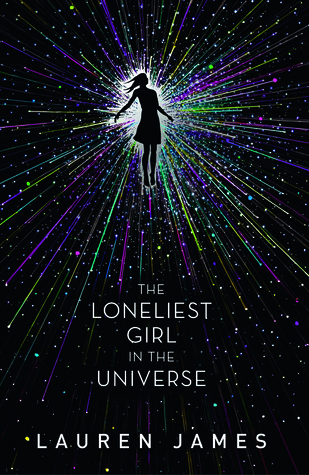 Alone in space, she is the loneliest girl in the universe until she hears about a new ship which has launched from Earth – with a single passenger on board. A boy called J. My Review: I’ve left it a while between finishing this book and writing a review, yet I still can’t put into words how mind-blowing it was. The Loneliest Girl was incredible. James’s latest book tells the story of Romy, the first human born in space, travelling alone on a ship to a new planet. Any communication she has with Earth is on a two-year delay, so when she hears of a new ship travelling to join her, Romy is ecstatic – but is the news she’s receiving trustworthy? I haven’t read a sci-fi book in a while, so I was so excited to read this! This concept is hugely different, but just as breathtaking as the world of James’s last books. The space setting was so eerie, and the idea of one girl travelling alone after some horrifying events, is so scary. I got chills reading parts of this. As unsettling as it could be, this book is so addictive. I ended up racing through it in a day because I had to know what would happen. It reminded me of Harstad’s gripping 172 Hours on the Moon – equal parts creepy and riveting. I really liked Romy and could imagine her clearly, so alone and deep into a quest that has a dark past. I was completely engrossed in her story, empathising with her loneliness. Her backstory was both fascinating and terrifying – it’s a huge, crazy concept but strangely believeable. I found the dynamic between Romy and J so fascinating to read. They communicate through email with huge time delays; that gap slowly closing as his ship approaches hers. Also, kudos to James for writing a complex timey-wimey story and having all the emails dated. That must have been hard. I became so engrossed in following their emails, and the delayed news Romy was receiving from Earth. I became completely swept up in their story, even though there are almost no physical dialogue. The Loneliest Girl is being marketed as a romantic thriller, and I kind of like that! I was led into this story thinking it would be a spacey romance, and therefore not too sure if I’d enjoy it. Then… boom, so many plot twists and unexpected turns. It certainly is more of a thriller, and it’s awesome. Overall, there’s no doubt: The Loneliest Girl should be at the top of everyone’s TBR piles when it’s released. The story has certainly stayed with me – it took me ages to write this review, and I still don’t think I’m able to do it justice! There’s something to appeal to everyone in here – a riveting sci-fi story, with classic-feeling elements of horror, and an romance with an unexpected twist. Mark your calendars for the release date! I received a copy of The Loneliest Girl in the Universe from the publisher, in exchange for a review. In no way at all did this affect my thoughts. This entry was posted in Book Review and tagged adventure, futuristic, horror, psychological, romance, sci-fi, space, thriller, travel on July 19, 2017 by Gee. Published 1st November 2016 by Simon & Schuster. Goodreads Synopsis: Nemesis is a Diabolic, a humanoid teenager created to protect a galactic senator’s daughter, Sidonia. The two have grown up side by side, but are in no way sisters. Nemesis is expected to give her life for Sidonia, and she would do so gladly. She would also take as many lives as necessary to keep Sidonia safe. When the power-mad Emperor learns Sidonia’s father is participating in a rebellion, he summons Sidonia to the Galactic court. She is to serve as a hostage. Now, there is only one way for Nemesis to protect Sidonia. She must become her. Nemesis travels to the court disguised as Sidonia—a killing machine masquerading in a world of corrupt politicians and two-faced senators’ children. It’s a nest of vipers with threats on every side, but Nemesis must keep her true abilities a secret or risk everything. My Review: This book arrived as a complete surprise – I hadn’t even heard that SJ Kincaid had written a new book – so I absolutely hit the roof when I opened the package! I was so excited to start it; SJ’s INSIGNIA trilogy is one of my favourite series ever, and SJ’s debut novel was one of the first review copies I read (and also quoted in whoop whoop). Needless to say, I was excited to get stuck into another inventive Sci-Fi world. Once I’d started it, I didn’t want to put it down – a cliche phrase maybe, but an apt one. I absolutely adored the concept – it takes the much used idea of humanoid characters created to serve people, and puts a fantastic new twist on it. It’s original and captivating. ‘Diabolics’ are genetically engineered humans, designed to kill anything that endanger the humans they are bonded to. Nemesis is a Diabolic – bonded to Sidonia, daughter of an important but rebellious figure in the galaxy. Nemesis finds herself on a terrifying mission, impersonating Sidonia in order to potentially spare her. Nemesis was such an interesting character, and I adore dreading from her narrative. It’s implied that she’s not considered human, even by herself, because she was bred to defend and kill. It was really cool over the course of the plot to see how she develops, and discovers things for herself and begins to feel, in a way. Perhaps my favourite thing about the story was Sidonia, and her chemistry with Nemesis, her Diabolic, who was bonded to her and essentially trained to kill in order to defend her. It’s hard to detail on this without spoiling anything, but the story started to go in the way I was excited for it to – and then absolutely tore my hear to PIECES. I’M NOT OVER IT. GAAAAHHHHH. I wish it had been detailed on more, as it’s an important story line to have in such an epic sci fi story. I absolutely adore SJ Kincaid’s world building. I loved her last trilogy for the imaginative concept, set partly in space – I didn’t think her fictional worlds could get any better, but this one is incredible. It’s set entirely in space, and the whole universe is set out so brilliantly and originally. Kincaid’s ability to craft unique worlds, and her incredible attention to detail, is admirable. It’s implied that some sort of global disaster happened on Earth many years ago, and the “Excess” humans live in poverty on planets, whilst members of a higher status live grand lifestyles on ships. The universe Kincaid has crafted is intricate and captivating – as soon as I’d finished the book, I wanted to read more about it. 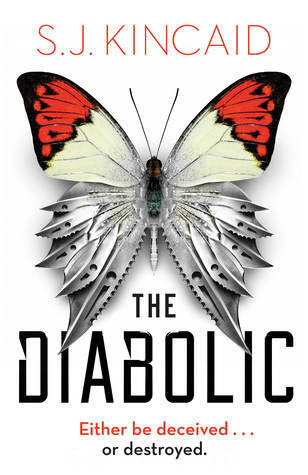 Overall, I really enjoyed The Diabolic, and cannot recommend it enough. It’s an epic and adventurous story of space, conflict and what it means to be ‘human.’ Although I must say that the romance part was a little sad to me, as it could have taken such a more interesting route – the whole book left me completely speechless. I was blown away! I cannot wait to see what other people think of this – it’s got the potential to be the next big thing. I received a copy of The Diabolic from the publisher, in exchange for a review. In no way at all did this affect my thoughts. This entry was posted in Book Review and tagged 2016 release, book recommendation, book review, sci-fi, simon & schuster, sj kincaid, the diabolic on October 26, 2016 by Gee. Goodreads Synopsis: From JONATHAN LUNA (GIRLS, THE SWORD, ULTRA, Spider-Woman: Origin) and SARAH VAUGHN (Sparkshooter) comes ALEX + ADA, a sci-fi drama set in the near future. The last thing in the world Alex wanted was an X5, the latest in realistic androids. But after Ada is dropped into his life, he discovers she is more than just a robot. Collects ALEX + ADA #1-5. 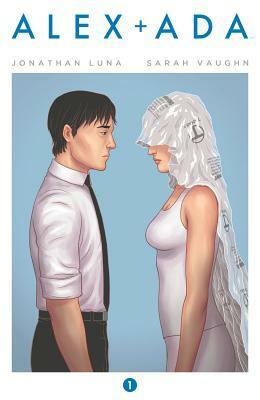 My Review: This graphic novel was recommended to me on Amazon, after I’d read the likes of The Wicked and the Divine. I fell in love with the simplistic but beautiful cover, and the synopsis made it sound incredibly interesting. It reminded me of a lot of Sci-Fi I know and love, with its classic-feeling near-future-androids-are-becoming-independent vibe, but I was eager to try it out. I’m so glad I did; Alex + Ada may not be the most original of stories, but it’s told in an incredibly unforgettable way and I adored it. I’m always a little scared when I start an ongoing comic series, as like with The Wicked and the Divine, I can sometimes get too lost in a complex story. However, with this, I became absolutely absorbed in the story, and it was really easy to follow. Issue one begins with Alex, a relatively normal guy who is quite lonely, and living in a near-future world where many tasks are now performed by androids and robots. All over the news is talk of a Robot Rights movement, and a massacre caused by sentient androids, which is stirring tension. When an X5 android turns up on his doorstep, the newest in lifelike technology, and something he doesn’t desire – he reluctantly boots it up. Soon, he finds himself falling into a complex world of android politics, and discovers that Ada is seemingly more than just an android. The story feels like an instant classic, and after binging the five issues in this collection, I was really eager to start the next volume. I often feel like the first few issues in a series can be a little dull, just introducing us to characters and story, with lots of yet to be answered questions, but with Alex + Ada, I felt immersed in the story straight away and loved the way everything was executed. I think some people might find it a little dull, as Alex isn’t set up to seem like the most exciting of characters, and his interactions with other characters aren’t that thrilling – but I really loved that! It shows how a lonely guy can become so isolated by the things around him, like the technology that’s running almost his whole life. The artwork is pretty great. It’s a simplistic style, with a limited blue/grey colour scheme for the most part, but I really liked the way it reflects the sterile, depersonalised feel of the comic’s setting. It would have been nice to see some more variation in the style, but I do think it works with the story really well. Overall, Alex + Ada was a really enjoyable graphic novel; one I wouldn’t hesitate to recommend whether you’re a fan of Sci-Fi, or looking for a way to get into reading comics, as it’s a very accessible story. These first five issues are captivating and enthralling – and a brilliant set-up for what I’m sure is going to be a brilliant story in the next instalments. I can’t wait to see what direction the story goes in the next volumes – this first one was a fantastic introduction to a Sci-Fi world that has a lot of promise. I purchased a copy of Alex + Ada Vol. 1 online. This entry was posted in Book Review and tagged 2014 release, alex + ada, androids, comics, futuristic, graphic novel, graphic novel review, image comics, jonathan luna, political, sara vaughn, sci-fi on June 1, 2016 by Gee. I really enjoyed Phoenix Rising, the first instalment in a series set in the near future, where fossil fuels have run out. I was over the moon when asked to join the blog tour for its sequel! 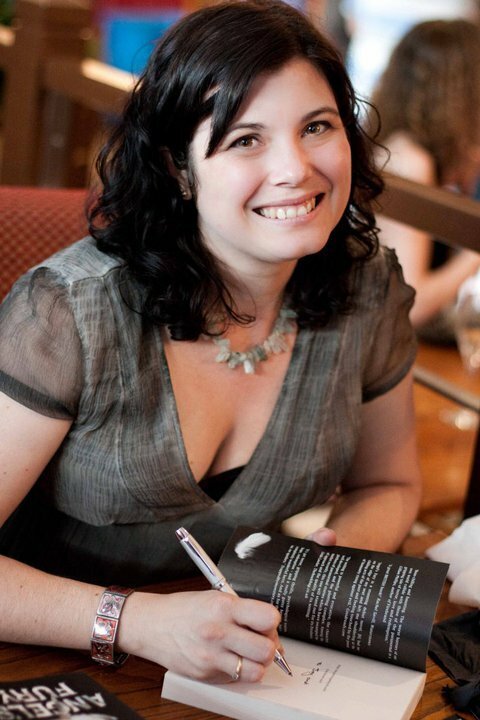 Continue reading to hear from Bryony Pearce, the author, about her experience with writing Phoenix Burning, which is out now. The first novel I sold, Angel’s Fury, was a standalone. I had ideas about what I would write in a sequel, should I be asked for one, but the book was finished as it stood and I had many readers saying that they liked it for that – at the time I think there was a glut of YA series fiction and a standalone novel was something different for readers, who were perhaps getting bored waiting for a couple of years to find out how their favourite story ended. The Weight of Souls was a bit different – it was bought as a stand-alone, but my editor wanted me to leave it open for a possible sequel. Book two was planned out and ready to go, when the publisher closed down. Readers were annoyed that The Weight of Souls ended on a cliff-hanger (the ancient Egyptian evil released from its tomb), but there was nothing I could do about it. Phoenix Rising was always intended to be the first of a series. Stripes bought two books, so I knew that I would certainly be writing at least one more story in Toby’s world. So from the beginning of book one I was planning the sequel. Events in Phoenix Burning were seeded in Phoenix Rising (the sun worshippers, Ayla’s fear of fire, Toby’s missing mother, Hiko’s tattoo, the map, the near miss with the boiler) and I was careful to take notes that I could refer back to while writing a second book – key character descriptions, key events and so on. Once Phoenix Rising was written, I was excited to get back into Toby’s world and write more of his story. As a reader I enjoy series fiction, mainly because I like to remain longer with the characters I love, and as a writer, it turns out that I like the aspect of this too. I enjoyed spending more time with Toby, allowing his character, and that of secondary protagonist, Ayla, to grow and develop even more. By the end of Phoenix Rising, Toby has done some real growing up, but it is only at the end of Phoenix Burning, that the lessons he has been learning about trust and adulthood, really come home to him. At the start of Phoenix Rising Toby is a coddled child, by the end he is a teenager, but at the end of Phoenix Burning, he is an adult, making real decisions and taking responsibility for his actions. Ayla on the other hand thought she was an adult at the start of Phoenix Rising and by the end of the arc, has had her confidence shaken and learns that she still has a lot of learning and growing still to do. I really enjoyed being able to take elements seeded in Phoenix Rising and seeing where I could take them, and wind them through the next story, tying the two together. I hope that I have given the reader some real ‘a ha’ moments. I particularly loved using the event at the very beginning of Phoenix Rising, the broken delivery line that almost causes the boiler to explode, as the thing that gives Toby the idea of how to escape the Greyman ship in Phoenix Burning. Despite all my planning it was hard at times to write a sequel. It felt as if I’d been with Toby for so long, that it was easy to forget that only a few weeks had passed in his world. I ran the risk of making him too adult. Sometimes I found myself forgetting important things and having to break my own cardinal rules bout re-reading my published novels, just to make sure that I got my facts right. But really I love spending more time with Toby and I hope that you do too. 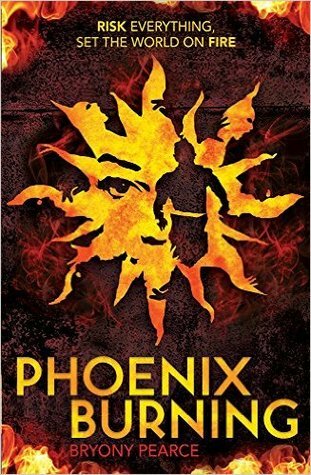 This entry was posted in Blog Tour, Guest Post and tagged 2016 release, Blog tour, bryony pearce, dystopia, futuristic, little tiger press, phoenix burning, phoenix rising, sci-fi, series, thriller on March 15, 2016 by Gee. Published 3rd September 2015 by Walker books. Goodreads Synopsis: How many times can you lose the person you love? A powerful and epic début novel for teenagers about reincarnation and the timelessness of first love from a talented young writer. Teenagers Katherine and Matthew are destined to be born again and again. Each time their presence changes history for the better, and each time, they fall hopelessly in love, only to be tragically separated. But why do they keep coming back? What else must they achieve before they can be left to live and love in peace? My Review: When I first heard about this book I wasn’t too sure I’d read it – the idea of two lovers being reborn over & over throughout history reminded me a lot of an old favourite, Midwinterblood by Marcus Sedgwick. But then I read into it more, and saw that beautiful cover, and was offered the chance to review it for LoveReading4Kids – I jumped at the opportunity to. I was hooked from the opening pages. The story is split between multiple time periods and the reincarnations of Katherine and Matthew in each one; from 2039 to 1745. With each life, they fall in love, affect historical events – and are separated again, to be born again. The stories are all told, uniquely, through not just usual writing but notes between the characters, maps, articles and letters. I loved the format. It made for such a unique reading experience. I thought I’d struggle to keep up with the multiple plots, but it was quite easy to read and Lauren James’s writing is so engrossing. Technically, we see four reincarnations of the same characters in the same book! James has written them fantastically; no matter what time period, their personalities shine through (Katherine being pretty funny in many places. I had to suppress laughing out loud on a packed train) – though they’re also quite different in each year. I’m always pretty cynical when it comes to romance books but Lauren James has written these characters and their chemistry so so well. Overall, I have to say this is the most stunning début of 2015 so far… Or maybe even a while longer. Lauren James is definitely an author to watch out for; her writing is astounding and the plot she has crafted is a rich blend of Sci-Fi, history and romance that is an absolute joy to read. It’s a gripping, emotional roller-coaster that I highly recommend looking out for. 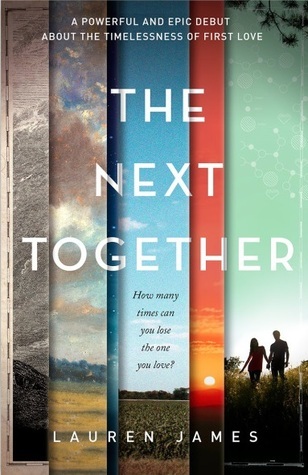 I received a copy of The Next Together from the publisher, via LoveReading4Kids, for review. In no way at all did this affect my thoughts. This entry was posted in Uncategorized and tagged debut novel, lauren james, love, mystery, reincarnation, romance, sci-fi, the next together on September 1, 2015 by keithbwalters. 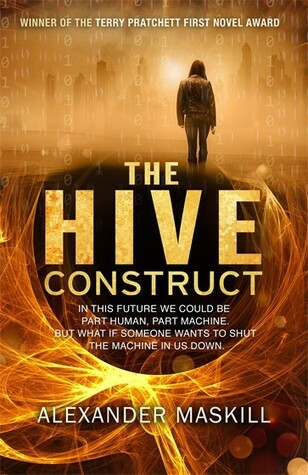 The Hive Construct is Maskill’s début novel and I’m delighted to be a part of the blog tour! Today I’m sharing a guest post from the author, about what influenced him to write the book. Find more about The Hive Construct here! The Hive Construct’s biggest influence was the year I’d spend prior to writing it studying politics at the University of Leicester. My degree required that I study political systems and social structures and the like, and so it was what was on my mind when I sat down to work out what the story would be. The story is a political story, it’s a story of political strife. The best thing you can do as a creative person is to not just draw on other creative works, but to combine outside interests of yours with your creative inclinations to create something less derivative than it otherwise might be. Getting more into other creative influences, the book was, in many ways, inspired by The Wire. I was really interested in exploring a society’s systems from multiple points of view, examining how the institutions of that society inexorably draw them into conflict – and The Wire is maybe the best ever telling of that particular story. The original title for The Hive Construct, which was just “The Hive”, is literally two letters away from “The Wire”, that’s how influential it was on me. At the same time, I wasn’t bound by journalistic experiences in the same way David Simon was, which allowed me to extend the themes into the details of the world-building. It made sense to me to parallel the ways people integrate themselves into the systems around them with people literally integrating themselves into information systems, and extending that metaphor wherever I could. Obviously this drew to mind other stories about transhumanism – Ghost In The Shell, Deus Ex and The Matrix being the most obvious ones in my mind. The Mass Effect series of video games also ended up playing a significant role in a lot of my approach to world-building. My big dirty secret is that I don’t actually read that much science fiction, so the Mass Effect universe is probably the most developed science fiction universe I’ve ever been invested in. This is obvious everywhere from the way I describe the novel’s portable computers to some of the thematic concerns later on in the story. Something else I realised a little while later was precisely how subconsciously influenced by the show Legend of Korra my Serious, Adult Political Novel ended up being. Talented young woman goes to a huge city in the middle of a major social upheaval, has often-contentious relationship with both sides and things escalate from there. I mean, I spent less time on fictional sports and love triangles, so maybe I missed a trick there. Alexander Maskill grew up in East Sussex. He has just completed a Politics degree at the University of Leicester and hopes to follow this with an MSc in Computer Science. The Hive Construct is his first novel and won the 2013 Terry Pratchett Prize. This entry was posted in Uncategorized and tagged alexander maskill, Blog tour, guest post, sci-fi, the hive construct, thriller on August 15, 2015 by keithbwalters.